Apple users were surprised by the speed which they prepared a new Mac operating system, just seven months after the release of Lion OS X. 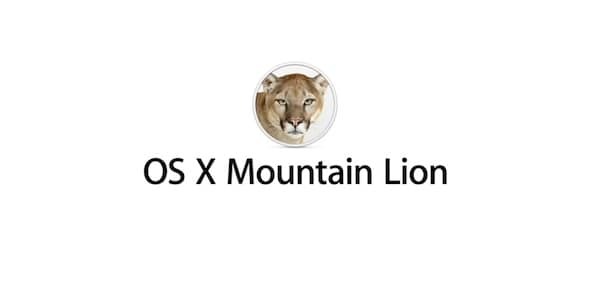 Mountain Lion is a step towards for the integration of PS X with iOS operating system for iPhone and iPad . Here are first impressions to test OS X 10.8 Lion Mountain. The new OS X is the next step in integrating the mobile operating system for Mac and MacBook and will be released in late summer, before Windows 8, developed based on the same concept. iChat for Mac’s got a new interface, the same as native application for iOS Messages. Now, all conversations are kept in the same window and the window can be easily synchronized via Apple ID on any device connected to the Internet. FaceTime has been integrated into the new application. In Mountain Lion OS X, AirPlay allows you to send video or audio content directly to TV or projector through wireless connection. Mirroring AirPlay feature works just like the iPad 2 or iPhone 4S, turning TV into a monitor for Mac. Apple dropped the Address Book and iCal for Mountain Lion, offering the same basic applications as for iOS 5: Contacts, Notes, Calendar and Reminders. Even if new applications seem to have the same basic functions, the main advantage is the integration of iCloud. The application provides significant improvements, the list’s bullet to the link URL and custom fonts. Tight Integration of iCloud in OS X 10.8 Lion Mountain seen from start-up time when users can log in with their Apple ID. Those who use an iPhone or iPad with iCloud service will find with surprise that the Mac automatically sync their email, contacts, reminders them, even bookmarks from Safari.